Mickey is here to help puzzle fans keep their pieces organised. 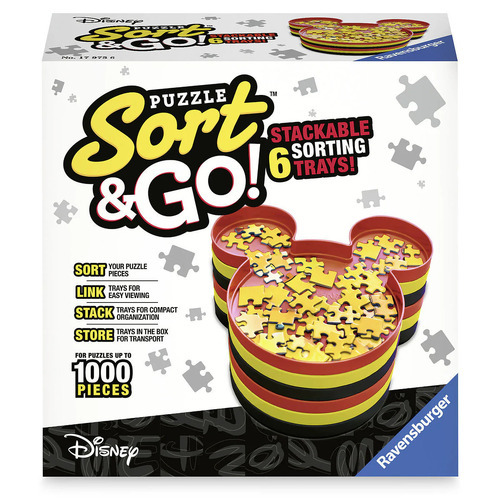 This Sort & Go! 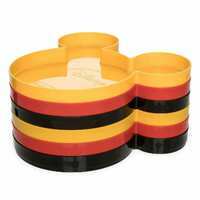 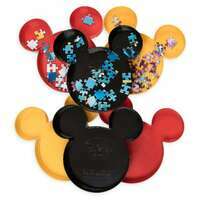 set includes six Mickey icon trays which can be linked for easy viewing. 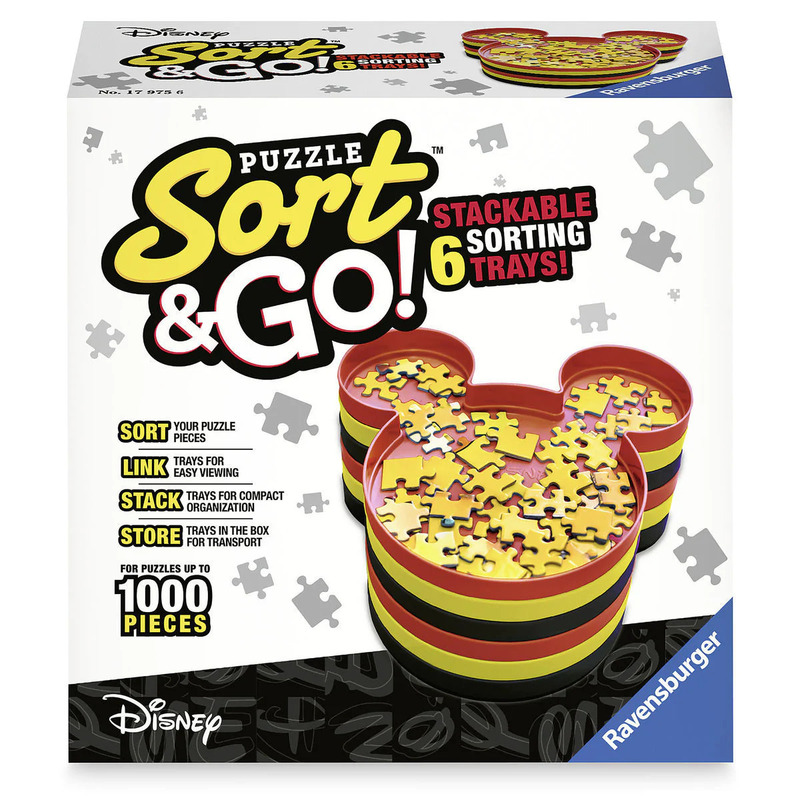 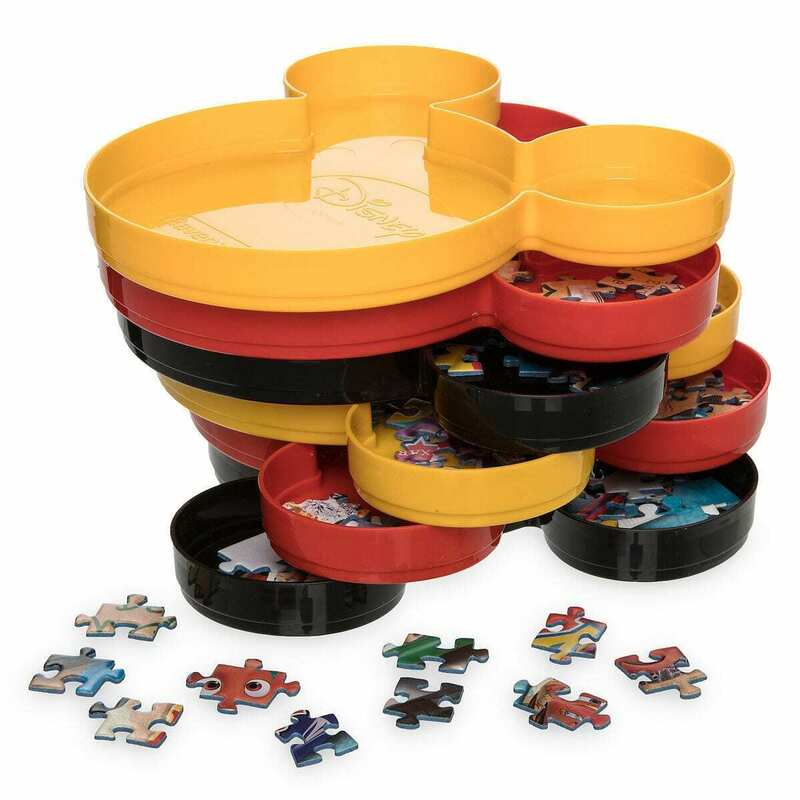 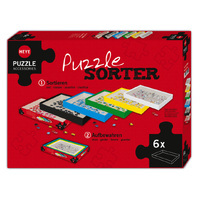 Designed for puzzles up to 1000 pieces, the stackable trays store in the box for easy transport.